Très intéressant. 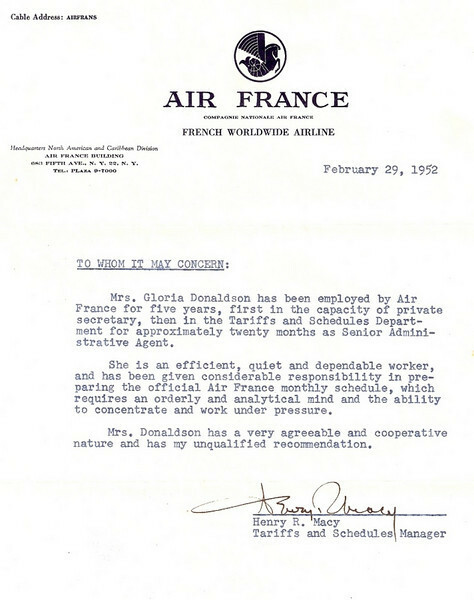 Alma Gloria Hendrickson Donaldson apparently preferred her middle name over Alma while she worked at Air France. At the time of this letter she was about six months pregnant (with me). This letter of recommendation would go unused, as she did not return to work until after Dad's death.